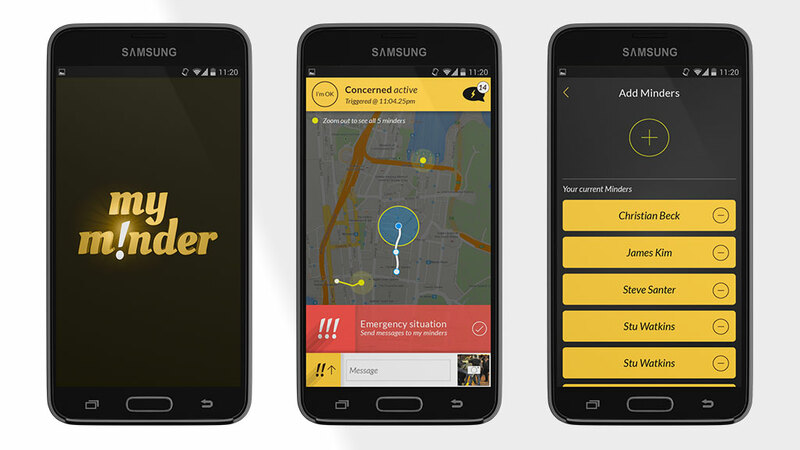 My Minder was a Personal Security alarm and communication app concept. My Minder made its way from concept, research, prototyping, to MVP. It was shelved at the last moment due to a change in the start-up’s focus to work solely on Cammy. 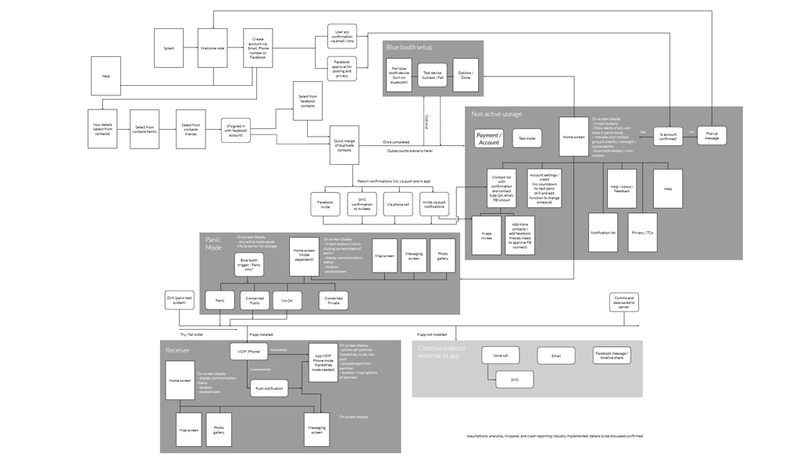 Due to the different user types and levels of provided details from the users, created a userflow that needed to be adaptable to a myriad of situations. The app also had to adapt to responders that may not have the app installed. We also researched remote technologies, like blue tooth switches, to trigger the app’s alarm system. My Minder was designed to reassure, communicate clearly and quickly with responders, and to record and save audio and photography of incidents. 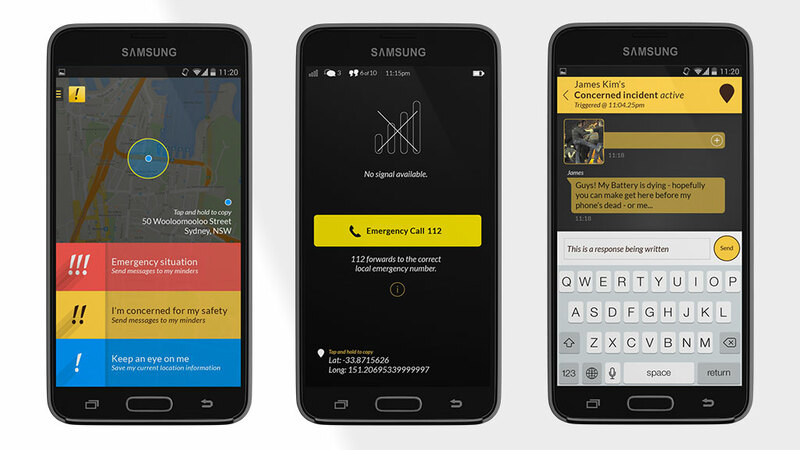 This went through some fairly comprehensive Research into the current market, emergency scenarios from around the world; like mass-shootings at college campuses in the US, and other tragedies around Australia, they may have been averted or the amount of victims reduced had their been a robust mass communication tool dedicated to emergency response.